The mission of the American Pianists Association is to discover, promote and advance the careers of young, American, world-class jazz and classical pianists. 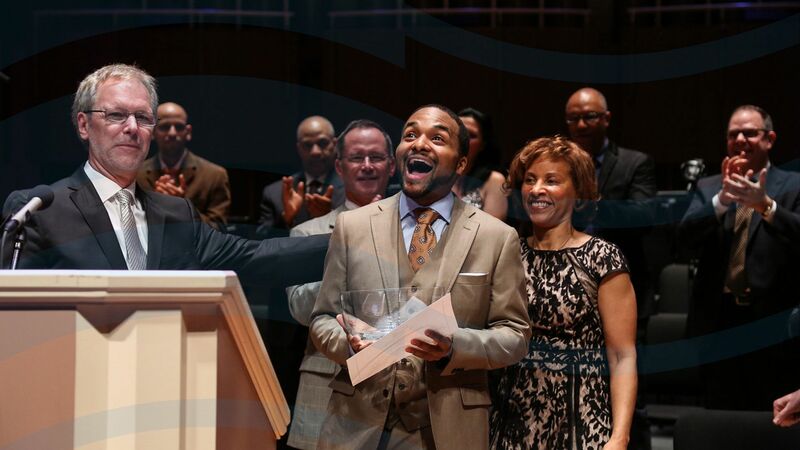 We celebrate the beauty of music through America's premier jazz and classical awards. The American Pianists Association nurtures the artistic growth of America's top young pianists by focusing on creative expression and career development. Our largest and most prestigious support is given through a biennial competition known as the American Pianists Awards. Since our founding in 1979, the American Pianists Association has supported 46 winners. The American Pianists Awards are held every two years to discover the best aspiring young American jazz or classical pianists. The unique and innovative competitions span 13 months and provide a platform to deeply engage musical artists in a variety of creative formats and settings. Winners receive cash and two-years of career advancement and support valued at over $100,000, making this one of the most coveted prizes in the music world and the largest for American jazz pianists. As part of each American Pianists Awards competition, every finalist completes a residency with a high school orchestra or jazz band. Residencies typically span the course of three days and culminate in a joint public performance with school musicians. Known as Concerto Curriculum, this program brings the beauty of world-class music to new audiences and non-traditional venues, provides pedagogical growth for developing artists, and inspires new generations of young musicians. Dr. Joel Harrison serves as President/CEO and Artistic Director of the APA.